the "Nurturing Healing Love" Book! Please fill in one of the forms below to get your bonuses. Once we verify your order we will email you your access to the bonuses shown below. Where did you purhcase the book? How many copies did you purchase? This soothing and meditative program with Jessica Ortner, which contains 6 audio tracks, will help you get rid of the stress that is adversely affecting your life. The guided meditations include morning meditations to help you clear any stressors and set the stage for an ideal day as well as evening meditations to remove the day's stress and invite a positive, peaceful night's sleep! During times of great change it's important to lean on the tried-and-true principles that support an evolving spiritual journey. 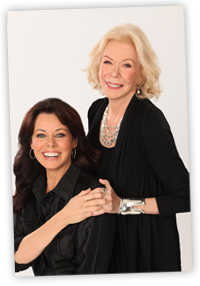 During this keynote address from a live "I Can Do It" event, Louise Hay and Cheryl Richardson will talk about these principles and offer you specific ways to use them in your life. You'll learn about the importance of taking simple steps consistently; practical tools to maintain optimism during stressful times; the creative power of patience, ways to shore up your faith in Divine order, and developing the ability to attract what you need by putting (and keeping) yourself in the right state of mind. You'll laugh, you'll cry and you'll leave feeling inspired to use change as a catalyst for living an exceptional life. This never before released keynote lecture from a live, I Can Do It event, is dedicated to your mastery of the art of realizing all your desires. The greatest gift you have been given is the gift of your imagination. Everything that now exists was once imagined. And everything that will ever exist must first be imagined. Wishes Fulfilled is designed to take you on a voyage of discovery, wherein you can begin to tap into the amazing manifesting powers that you possess within you and create a life in which all that you imagine for yourself becomes a present fact. Dr. Wayne W. Dyer explores the region of your highest self; and definitively shows you how you can truly change your concept of yourself, embark upon a God-realized way of living, and fulfill the spiritual truth that with God all things are possible-and "all things" means that nothing is left out. By practicing the specific technique for retraining your subconscious mind, you are encouraged to not only place into your imagination what you would like to manifest for yourself, but you are given the specifics for realigning your life so you can live out your highest calling and stay connected to your Source of being. From the lofty perspective of your highest self, you will learn how to train your imagination in a new way. Your wishes-all of them-can indeed be fulfilled. 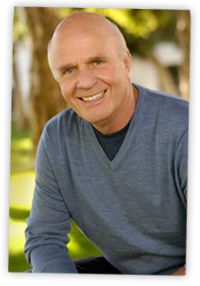 Learn how to stop being adrift and chart a new direction from within with Dr. Dyer. Doctors had given Anita Moorjani just hours to live when she arrived at the hospital in a coma on the morning of February 2nd, 2006. 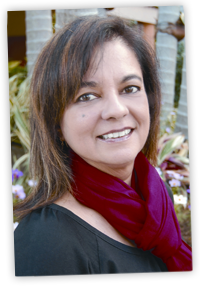 Unable to move as a result of the cancer that had ravaged her body for almost four years, Anita entered another dimension, where she experienced great clarity and understanding of her life and purpose here on earth. She was given a choice of whether to return to life or not, and chose to return to life when she realized that "heaven" is a state and not a place. This subsequently resulted in a remarkable and complete recovery of her health. Anita's riveting talk will inspire you to transform your life by living more authentically, discovering your greatest passions, transcending your deepest fears, and living from a place of pure joy. Her true story will radically alter your current beliefs about yourself, your purpose on earth, your health, your relationships, and your life! If you haven't yet placed your order please click here.